Two new pieces have been added to the online store…and more will be coming this week. 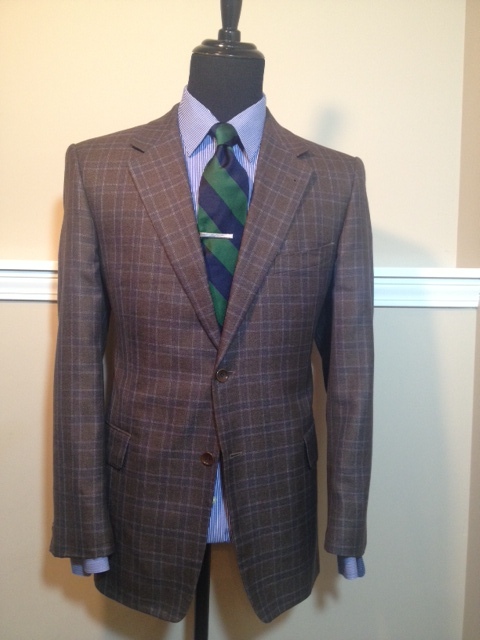 The first piece added is a brown and blue plaid sport coat that features notch lapels, center rear vent, two-button closure, flap pockets, and full interior lining. This piece is a size 44 and affordably priced at $38.50. 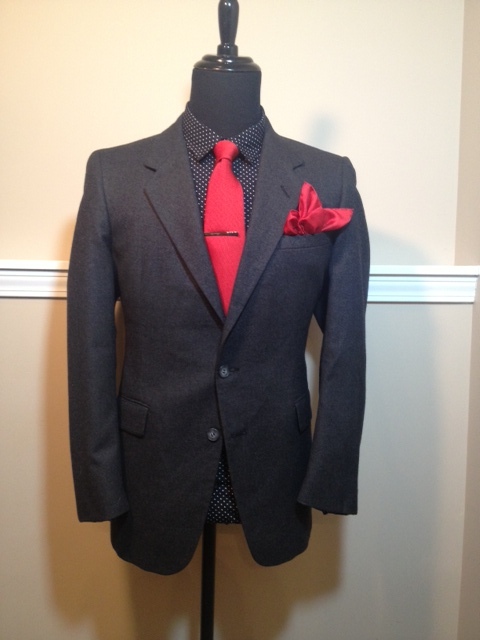 The next piece is this amazing wool charcoal grey suit that features notch lapels, center rear vent, two-button closure, flap pockets, and full interior lining. 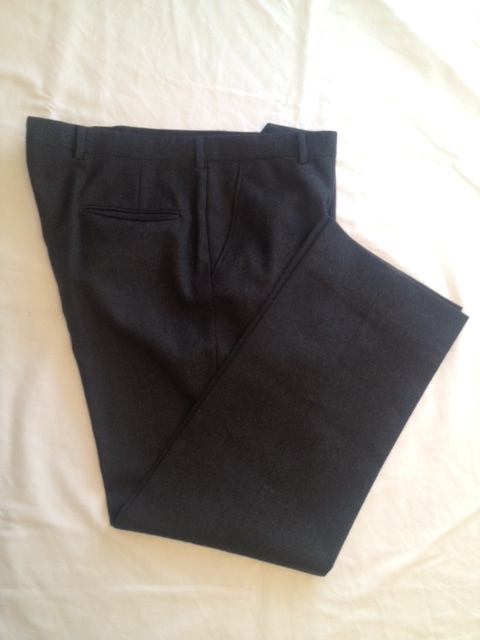 The pants are flat front and size 36 x 30, with an additional 2″ in the waist and 3″ in the hem. 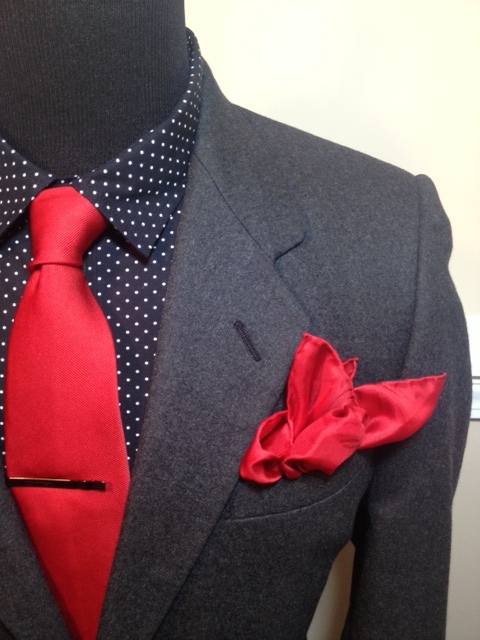 This means that the suit can be made to fit up to a size 38 x 33, with tailoring. 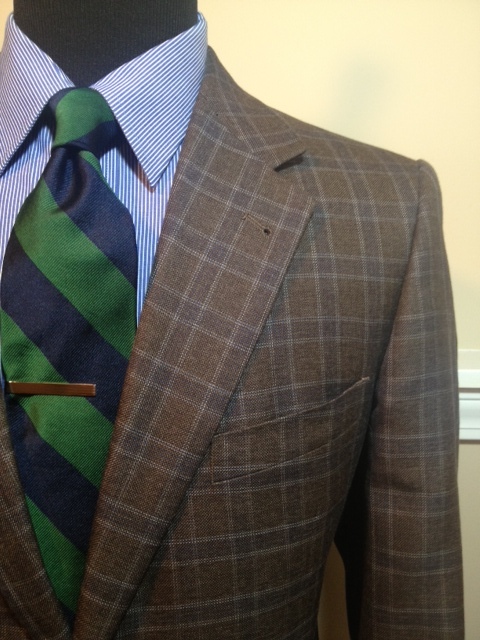 This suit is affordably priced at $52.50. For these immaculate pieces and more, please visit the Menswear Boutique by clicking the [Menswear Boutique] in the header above. This entry was posted in Uncategorized and tagged affordably priced mens blazers, affordably priced mens suits, Blazers for under $100, Charlotte Style, Mens fashion, mens style, Menswear, online menswear store, suits for under $100, Vintage clothing, vintage mens clothes, Wilbur Dow by wilburdow. Bookmark the permalink.